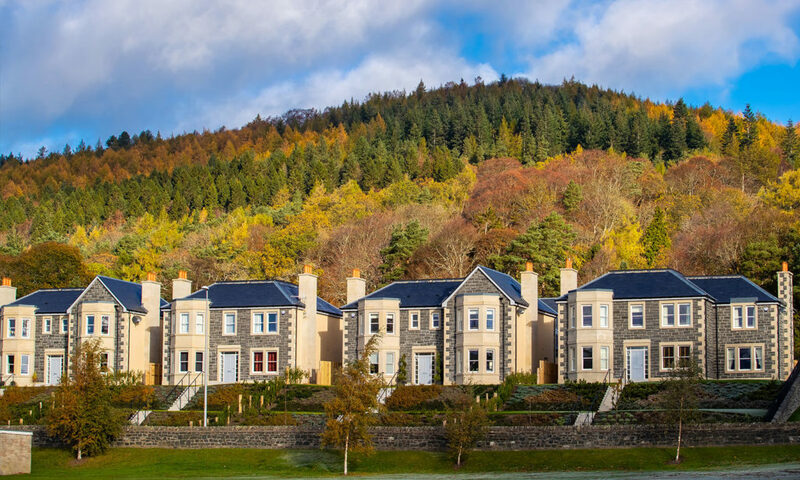 Hydro Gardens is an elegant community development located within the grounds of the prestigious Peebles Hydro Hotel. The development consists of eight villas, five semi-detached villas and mews, and 20 apartments, with size ranging from one to five bedrooms. All 33 properties share a traditional yet striking architectural style and have been built around a central driveway to form an exclusive, enclosed neighbourhood. 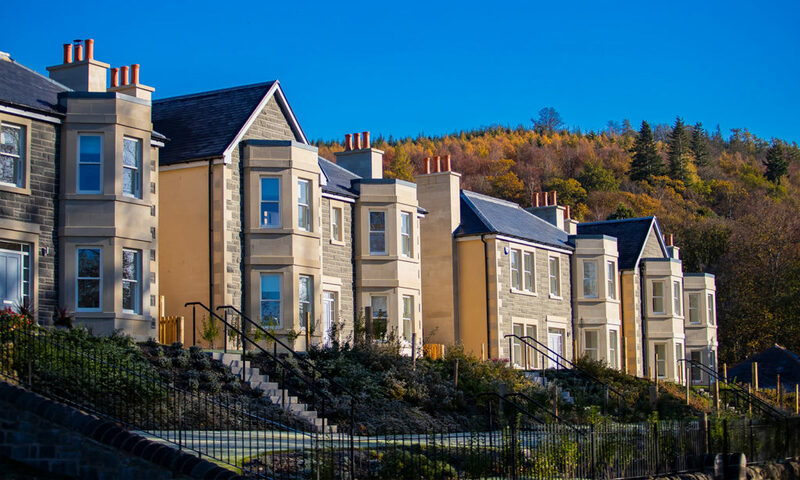 The landscaping has been designed to complement the surrounding countryside and gardens of Peebles Hydro, seamlessly blending the development with its setting. The location just off Innerleithen Road offers convenient proximity to local amenities, popular trails and public transport links. Hydro Gardens has proved extraordinarily popular, with almost 90% of all properties being sold off plan with no site sales presence. Due to this high level of demand, prices were incrementally increased across sales release, resulting in the higher than area average of £220 per square foot across the site, with selected properties going in excess of £250. 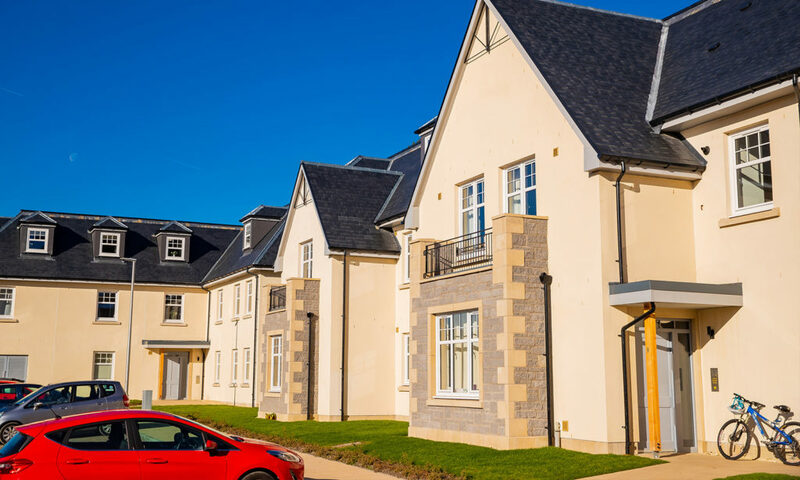 The development is an example of Queensberry’s commitment to building desirable properties in premium locations.